Every life form in the universe emanates a reflection of the energy that composes their being. As higher life forms, humans have the ability to emit light patterns that coincide with personalities, moods, life experiences, and levels of awareness. The light and colors accompanying a human aura include all colors of the know spectrum. These hues indicate specific, or dominant aspects of a person’s emotional state, spiritual wellbeing, and personal power. Intuitive individuals are highly adept at seeing these variances in the color spectrum. Each human aura color carries an archetypical meaning and interpretive, or transitional label. The human aura colors are intertwined with the traditional color codes of the chakra and chi descriptions. Awareness however, creates a situation where aura color can be completely distinct from any meditative and spiritual power color emissions. Aura colors are contained within the natural forces surrounding the human body. Some people emit low levels of light due to hereditary and environmental factors. Others, have extremely poignant light levels that are easily perceived by people who have the ability to sense and interpret aura thresholds. It’s a fact that all living creatures, including humans, emit a radiant spiritual energy that encodes a series of colors. These colors indicate varying degrees of life vitality, mental power, spiritual struggle, and even coinciding factors with time and ethereal elements. No living being emits only one aura color, but one color can be dominant over all others. Every human is imbued with soul, mind, and body powers contributing to a complete aura color spectrum. Some colors may be nearly non-existent and imperceivable, while other colors permeate an entire aura complex. Extremes in aura colors are not uncommon, but they do indicate a situation of imbalance. Every person should exhibit strains of all aura colors with wider spectral presences of colors that accurately reflect their personalities and mindsets. Sensitive seers and clairvoyants can detect the major colors, detect imbalances, and make suggestions regarding health and life itself from examining aura color displays. 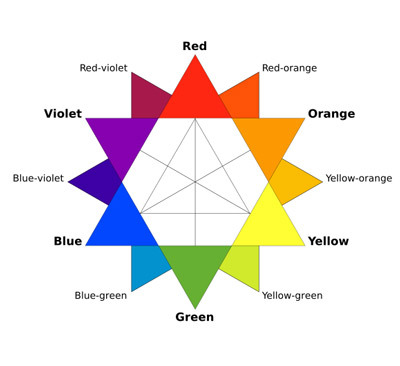 The colors in the human aura spectrum are not unlike natural light elements. The colors include bold and distinct primary colors. They also include secondary and tertiary color combinations indicating complex aspects of human personalities and emotion. Factors like age, gender, ethnicity, religious practice exposure, and self-will have the power to affect the appearance of aura colors. No aura color display is false. Aura colors are a natural output of spirit and mind. They are unaffected by pretense and physical environments. Colors tend to be universal, and indicate a commonality between all humans. These aura colors are intimately intertwined with the physical body. Red light is an indication of strong emotions like anger, love, and pride. It is also the most primal color signalling the presence of the need to act aggressively, or make a show of personal strength. The deeper the red light, the stronger the primal passion. As red light fades into pink, it signals a weakening of some personal facet that involves both body and spirit. True pink light is a sure indication that a person is feeling vulnerable in some way. This can be negative like having a fear regarding professional performance, or positive like recently being stricken with the possibility of finding true love. People with very strong blue aura lights are strong and calm individuals. They tend to seek solace in places where other people fail to look. Blue light people are often incredibly intuitive, and lean toward disciplines that involve human interaction. Extremely strong blue aura lights are an indication that a person possesses extraordinary sensory abilities that could include untapped psychic abilities. Emitting extreme amounts of brilliant magenta aura light coincides with the need to be an eccentric. This color is very rare as a dominant aura color, but is very evident in people who constantly have the compulsion to go against the status quo. Magenta is a color symbolizing struggle, but isn’t necessarily negative. It is often an indicator of artistic abilities that have yet to be realized. Brilliant orange auras are the surest indicator of vigor and vitality. This color is common in people who are athletically competitive and successful in areas of personal performance. This surety can also be formed from sexual prowess and pride. Some people who are on the verge of becoming unhinged in their interaction with others exhibit strong orange auras. These colors are very common in people who value the pursuit of cognitive honing and discipline. The closer a yellow aura is to a golden one, the more deeply involved a person is in philosophical matters. Brilliant gold auras are often attached to people who are experiencing difficulties with the concerns of life and personal placement in the universe. People with golden auras often possess a love-hate relationship with time. Earthy auras indicate personalities that struggle with logical and methodical aspects of life. This struggle can be capped with either cold calculation, or an emotional formula. Tan light people must constantly be aware that they tend to over-think normal conundrums, and can often be perceived by others as uptight and elusive. Green aura light appears when a person is in a period of healing, or is in a state of extreme good health. This is a color indicating the perfect balance between bodily health, mental security, personal relationships, and emotional outlooks. People exhibiting a constant dominant green aura light are natural healers. The deeper the purple aura light, the closer a person is to achieving spiritual freedom. Extremely sensual people, and those needing constant interpersonal contact exhibit strong purple and lavender light. Clear and brilliant white light is extremely rare and only present in people who have strongly developed spiritual awareness. This light is mostly found in spiritual leaders like yogis, life counselors, and other gurus. Black is commonly misunderstood as a negative aura light. It is never a sure indicator of the presence of undesired spiritual qualities. It does indicate however, that a person is under some sort of veil of protection. This can be due to a physical ailment, or emotions like worry and fear. A person who has personal troubles will naturally exhibit an aura color that seems to pervade all others. In contrast, a person with a balanced life will display a virtual rainbow of aura colors. No person is without any one color, just as no person is without a degree of a certain emotion. It cannot be said that any aura color is distinctly positive, or negative in nature. Even a black dominant color display can only be interpreted as a natural occurrence where a person is emitting a strong defensive shield because of certain life circumstances. Healthy and truly self-aware individuals will display aura colors that fluctuate regularly and reflect aspects of normal living. The key to inviting and utilizing the professional interpretations of aura colors by qualified seers, is using aura color descriptions to formulate a strategy for life balance. Understanding how emotions, stress reactions, physical sensations, and mental fixations equate to energy expenditure and aura color, is important in having total personal awareness on a continual basis. What’s the Color of the Dress? White and Gold or Blue and Black- Explained! The Entire article is really interesting and informative. Within this science is the exact ability to create a device much like a metal detector that gives exact personal IDENTIFICATION like a finger print or DNA only an exact one of a kind individual arua print, each human is unique and easily identified. Even earth location of personal conception is possible via PERSONAL MAGNETIC FIELD IDENTIFICATION. ONE’S intentions may even be revealed, ie. Hostile or friendly.